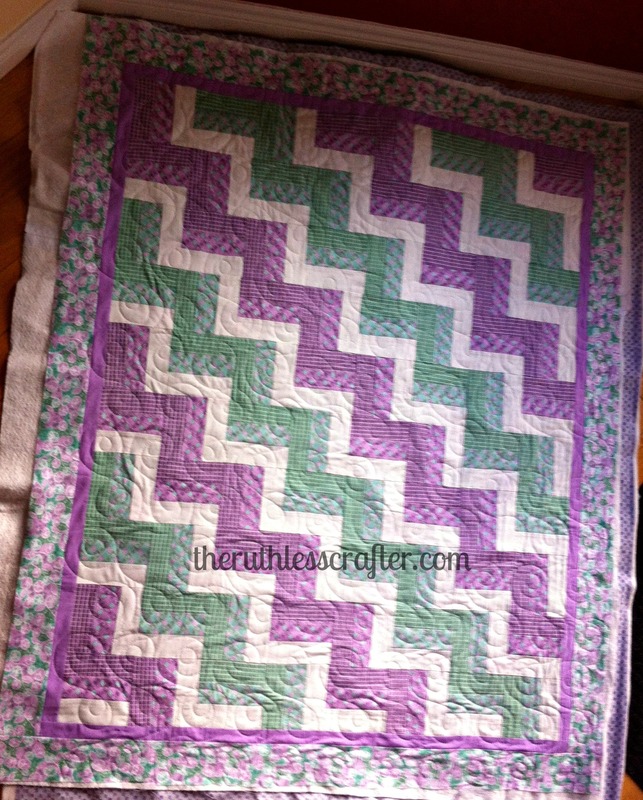 I had the pleasure of long-arm quilting this purple and green chevron baby quilt for Irene B. of Bear Hug Quilts. The pantograph used is Mod Dotz. This is just off the long-arm frames so the binding still needs to be complete. 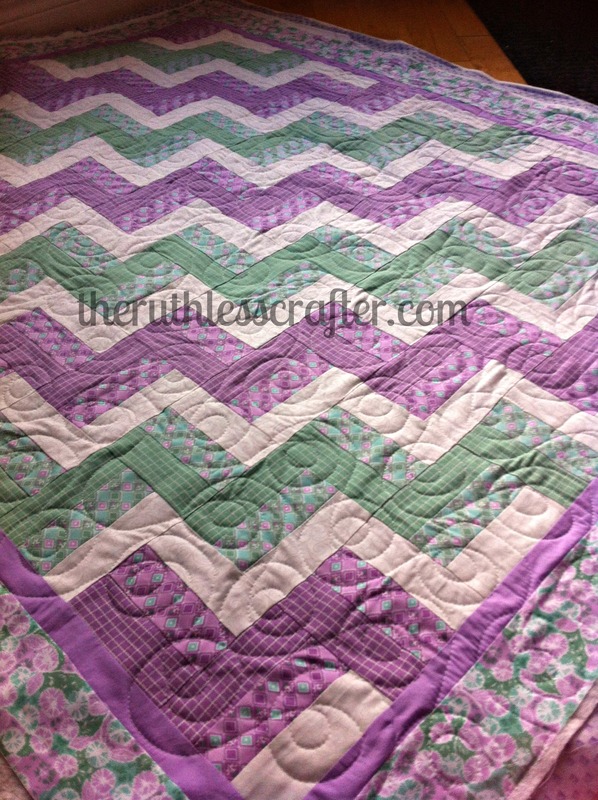 The flow of the swirls versus the hard lines of the chevron really captivates me. 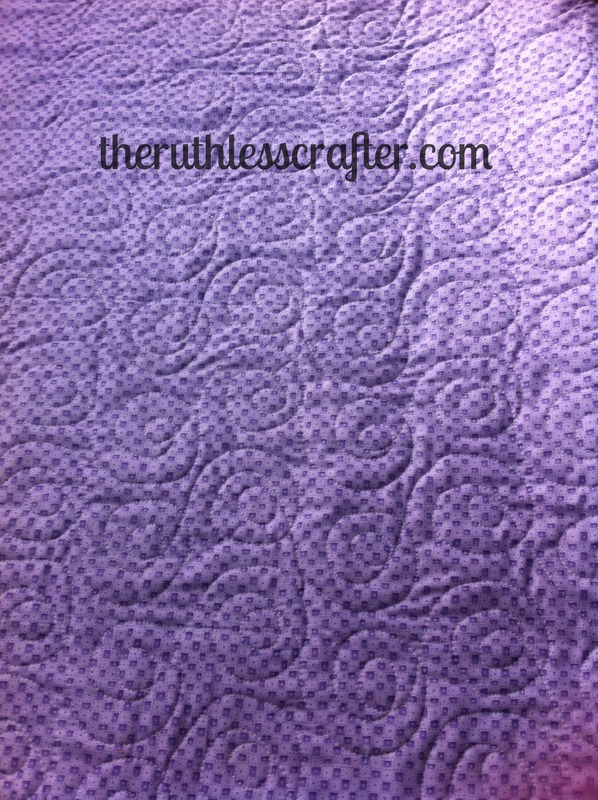 The back view of the quilt. I'm sharing this post at these linky parties.